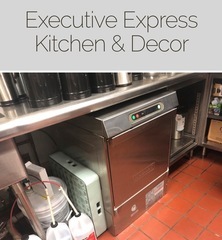 M21822 A national banking institution is liquidating assets from their corporate kitchen, including a refrigerated holding cabinet, dishwashers, an ice machine, and more! This auction is being held in partnership with OLS (6445). AUCTION CLOSING DATE: Monday, August 27th, starting at 1:07 pm. Bidding closes on the first item at 1:07 pm, then closes at the rate discussed in these Terms and Conditions of Sale.